Lalmonirhat, 28 Dec, Abnews: Members of Border Security Force (BSF) have picked up a Bangladeshi national from Burimari border point in Lalmonirhat district, UNB reports. The detained was identified as Abdul Latif, 25, son of Rafiqul Islam, a resident of Atrai upazila in Naogaon district. 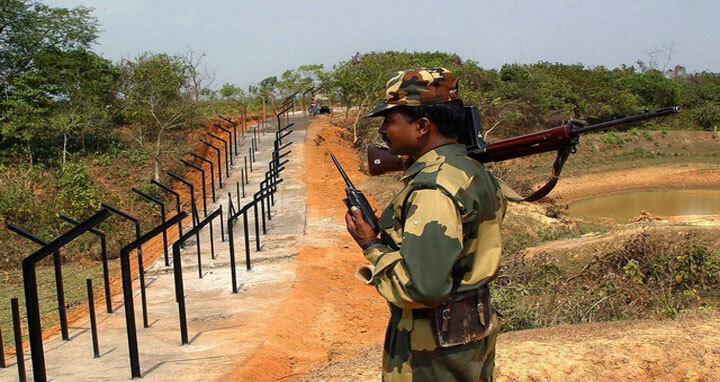 Major Syed Monirul Islam, commanding officer of BGB-61 (Border Guard Bangladesh) battalion, said that the BSF members from Changrabanda picked up Latif while a group of cattle trader went to the area of pillar No 843 in the frontier around 4:30 am on Thursday while others managed to flee away. The BSF members also beat a cattle trader Azam Ali, 22, son of Nazrul Islam, leaving him seriously injured. The injured cattle trader was admitted to Patgram Upazila Health Complex.